Guru Meena Logan is the Founder-Artistic Director of the "Pushpanjali Dance Academy". She has extensive teaching experience in the art form of Bharatanatyam. Meena's association with Bharatanatyam began at an early age from her Aunt and Late Guru Kalaimamani Smt. K.J. Sarasa, a well known dance teacher and the first lady nattuvanar and eminent Bharatanatyam exponent. She has also given numerous performances with her Guru's dance troupe "Sarasalaya" in India and abroad. She moved to California in 1996 and started teaching Bharatanatyam encouraging young and talented students. Meena has choreographed for many group performances with her students. 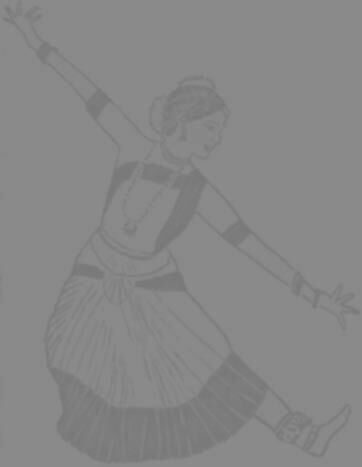 Her graceful execution of technically perfect dance movements along with a vivid and soulful exposition of abhinaya have gone in to making several of her students to graduate in this art form. She continues to actively involve in the local community events through her dance school "Pushpanjali Dance Academy". Late Guru Kalaimamani Smt K.J. Sarasa is the first lady nattuvanar and eminent Bharatanatyam exponent hailing from the family of legendary Padmasri Sri K.N. Dhandayuthapani Pillai and disciple of Doyen Sri Vazhuvoor Ramaiah Pillai. K.J. Sarasa has been in the field of Bharatanatyam for more than five decades having trained numerous disciples of her dance institution 'Sarasalaya'. Smt K.J. Sarasa has to her credit many awards and titles, the most important being "Swarnakalasam" award at Kalidasa Festival in Ujjain in 1966 and 1969. She has also received "Kalaimamani" and "Natya Selvam" awards from the Government of TamilNadu. The other awards to her credit include "Sangeetha Natak Academy Award" for best Bharatanatyam teacher and 'T T K Award, Best Natya Acharya. Natya Rathna, Bharata Kalacharya' 'Nrithya Rathna', 'Natya Kala Chakravarthini', and 'Natya Kala Rathna'. Kanchi Kamakoti Peetam conferred on her the title "Nrithya Sitssha Kalamani" in August 2000. Late Guru K.J. Sarasa has conducted numerous dance programmes in several countries around the world and has carved out a name for herself as a great Bharatanatyam exponent. Smt K.J. Sarasa has presented more than 500 Arangetrams and more than 1500 programmes so far.